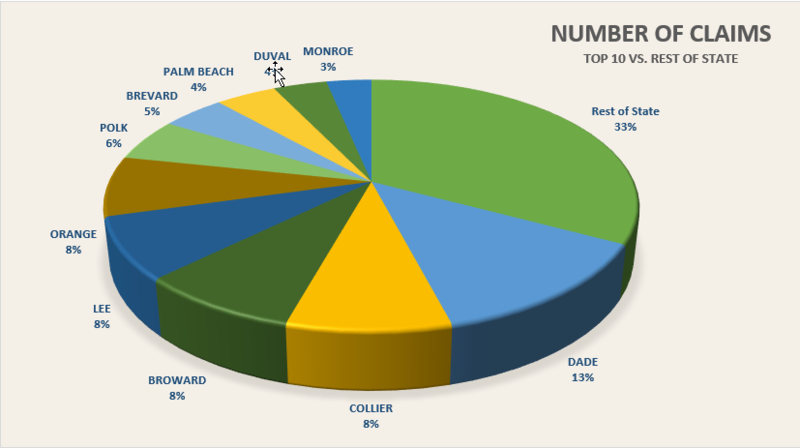 More than 95% of Hurricane Irma Claims have been paid? According to the information compiled by the Florida Office of Insurance Regulations, more than 90% of claims from hurricane Irma have been paid by the insurance companies. The question is, did the payments adequately compensate the insureds for the damages according to their policy contracts? Were the repairs evaluated properly by the insurance company inspectors/adjusters? A lot of insureds would say no. The insurance companies may have inspected and paid, but the majority of the claims paid were not evaluated properly and the payments made as a results were not adequate, according to our experts. The volume of claims generated from Irma resulted in a shortage of qualified adjusters, and the insurance industry resorted to using inspectors with little or no prior experience, who came from other states and left after their inspections were done. Some homeowners have had several insurance representatives out, each one seemingly not aware of what the previous adjuster has done. This woefully inadequate process of claims handling often results in frustrated insurers who are battle worn from endless phone tags with their insurance representatives with no satisfactory resolution, while another hurricane season is looming ahead for 2018. Are you happy with your claim payment? 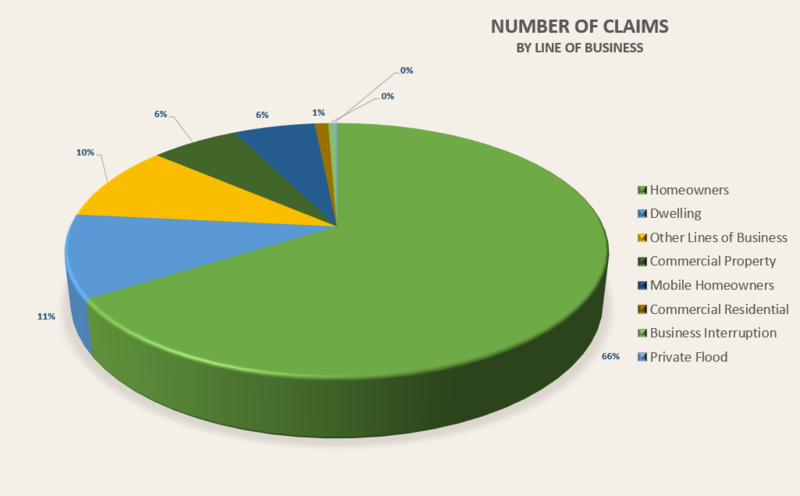 This aggregate information is compiled from claims data filed by insurers. It has not been audited or independently verified and covers all claims based on filings received by the Florida Office of Insurance Regulation as of April 6, 2018 at 3:10 pm. The next update to this information will be collected on June 8, 2018 and published on June, 11, 2018. *Leading up to September 20, 2017, the Office reached out to insurers that had asserted trade secret protection on their Hurricane Irma claims data to request they waive that assertion so the Office could publish aggregate county level data to the website. Because the Office obtained enough waivers, we are pleased to report these efforts allow the release of aggregate Hurricane Irma claims date on a county basis.